Georgia’s WIN List was happy to be the first group to endorse Brenda Lopez in her race for House District 99 for the 2016 election cycle. The male incumbent is retiring and Brenda is the perfect candidate for this district which is in the state’s most demographically diverse county. When elected, Brenda would be the first Latina to serve in Georgia. Brenda is a graduate of our WIN Leadership Academy program and was recognized as a “Rising Star” when our PAC celebrated its 15th anniversary in November 2015. She is the first candidate Georgia’s WIN List ever endorsed prior to qualifying as we shift towards a strategy of identifying and recruiting candidates who can win — particularly in districts with changing demographics or the potential to swing from Republican to Democratic. Our board is impressed by Brenda’s strong campaign plan and the fact that she has already sent one mailing and knocked on more than 3,000 doors as she gets to know voters in her rapidly growing district. The volunteers who accompany her canvassing efforts wear t-shirts with the “Vote” message translated into eight of the languages spoken in the district. Her campaign plan calls for two more in-person contacts with voters prior to May when early voting for the May 24 primary begins. 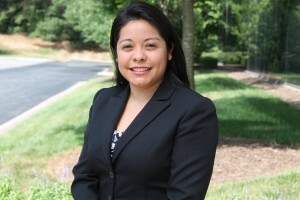 Brenda has lived in Gwinnett for more than 10 years, where she practices immigration law. Her campaign focuses on improving economic development, education access, and addressing the public transit needs for the district. She hopes to use her service in the General Assembly to build bridges between state and county government and to ensure that citizens who have been under-represented in the past have a new voice under the Gold Dome. Brenda also seeks to rebuild trust with county law enforcement and work to ensure equal rights under the law. The board of Georgia’s WIN List is confident Brenda Lopez will be a great team player as she joins the other WIN List endorsed women who currently serve in the Georgia General Assembly. She is bright, energetic and has progressive views which fit well with our overall mission.